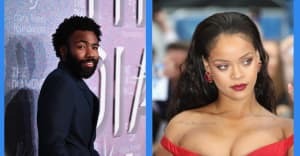 The status of his rap project Childish Gambino may be uncertain (there may be a new album in the works) but Donald Glover has been hard at work on his FX series Atlanta, and it now has a promo. FX picked up the series, a fictionalized version of Glover's childhood in the Georgia capital, in October 2015 for ten episodes to premiere in September 2016. Glover will also star and executive produce the show, which according to the promo's YouTube description, "revolves around two cousins on their way up through the Atlanta rap scene whose opposing views on art versus commerce, success and race will make their quest anything but easy." The promo, streaming above via Splitsider, is soundtracked by Tame Impala's "New Person, Same Old Mistakes" and has a similar reversed forward motion as The Pharcyde's famous "Drop" video.